Dante, First Bend. Racehorses reaching the first bend during a race. 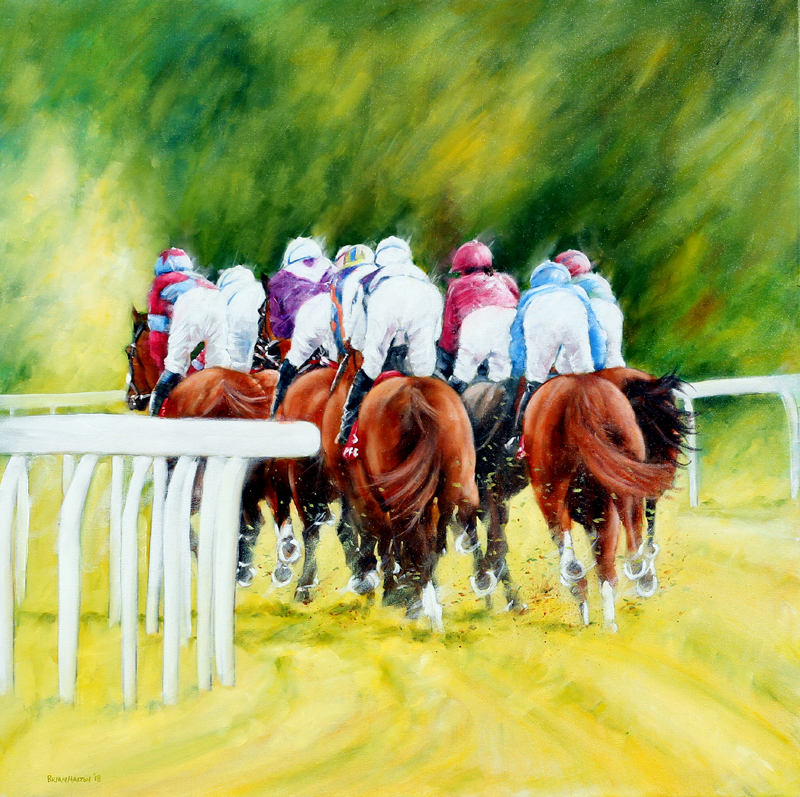 This is a 30″ x 30″ oil on canvas painting of racehorses reaching the first bend in a race. The race is the 2018 Dante Stakes at York where the winner was Roaring Lion. It is framed in a black ‘float frame’ which is 1.5″ deep. 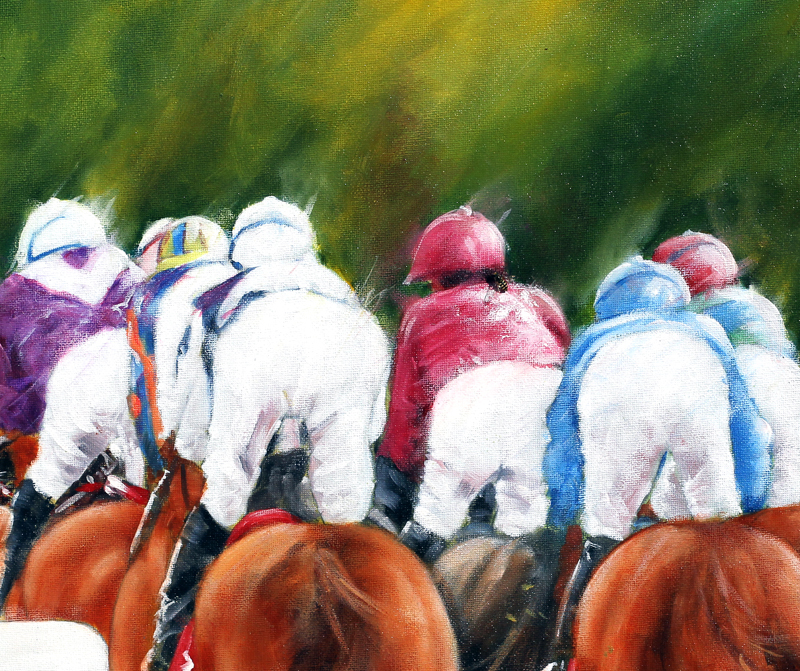 If you would like further information regarding the painting please phone or email and I will reply quickly.